Super Bowl ends the football season finally! I say that because when I watch football I pay more attention to the uniforms and hair, than the score and the moves (or do they call them plays?). Just tell me what color jersey I need to be rooting for and I’m good. So when hubby invited a few friends over to watch the Super Bowl game I had to figure out a few snacks to serve. We are usually at an annual Super Bowl party in Southern California this time of year, but since I still cannot travel due to a back injury, we’re staying home and watching the game with neighbors. A cheese ball is an acceptable appetizer for any occasion, so thought I would add it to today’s snacks and “football” it up a bit. Since football season is officially over for now, you can just shape the ingredients into a regular round ball (after all, there is basketball season). Let’s just say this recipe had me at “bacon”. I used pepper bacon to add a little zing to the topping. 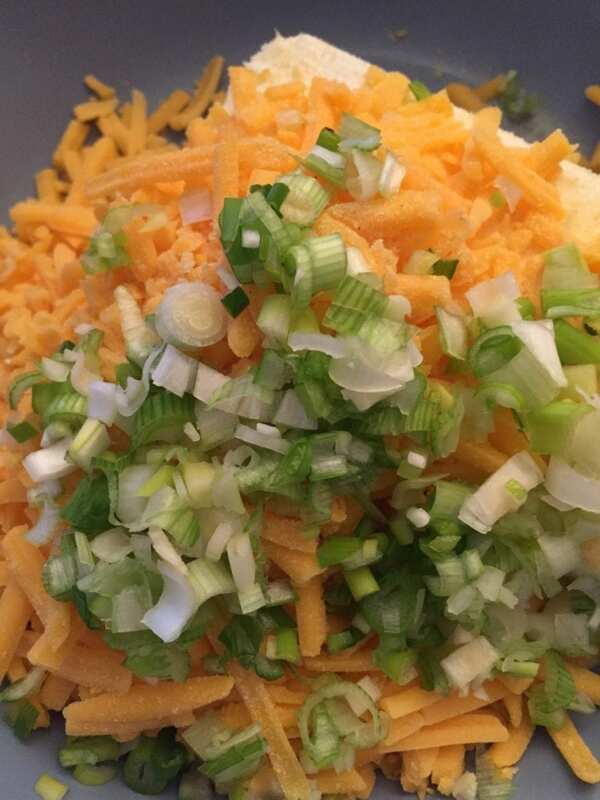 Toppings include bacon, scallions, jalapeños and toasted bread crumbs. Mix well with mixer or by hand with fork. With a spatula scoop out the cheese mixture and shape into a ball. Flatten the top, shaping into a football. Cover in plastic and refrigerate for 15-60 minutes to harden up. Chop bacon into pieces and cook until crispy. Remove bacon from pan, wipe clean except for a small amount of bacon grease. Add panko and lightly toast, stirring frequently. Prepare jalapeño by cutting in half, removing seeds, veins and stem. Finely chop or mince. 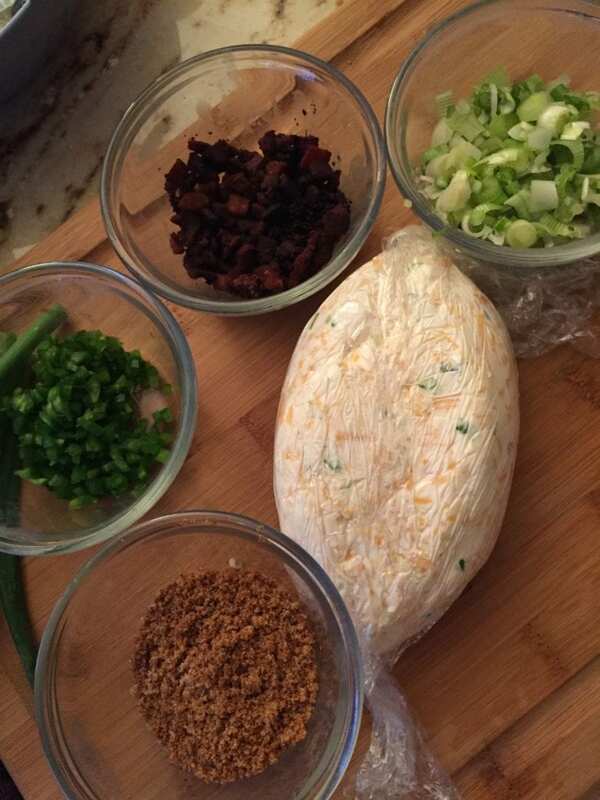 Cover cheeseball with panko, green onion, parsley, fresh jalapeño and bacon. 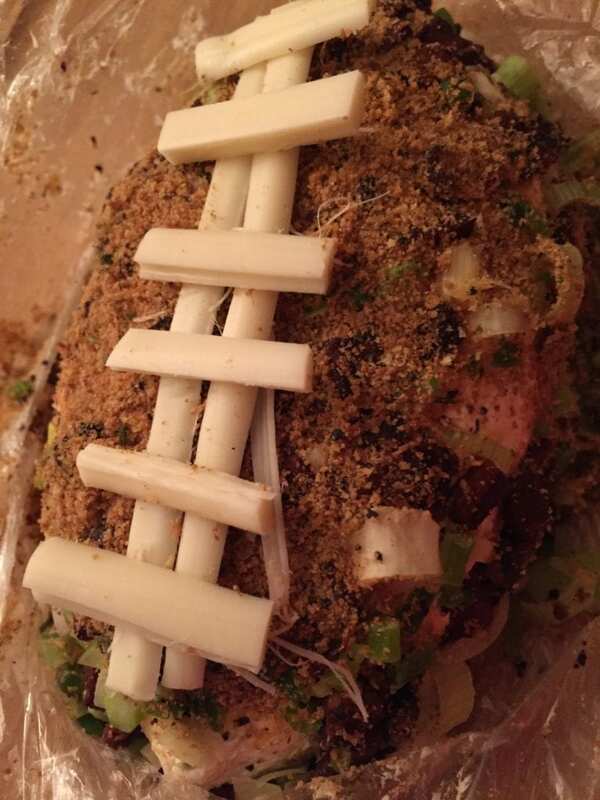 Press firmly into the cheeseball to coat it. Slice a piece of mozzarella cheese into thin slices. 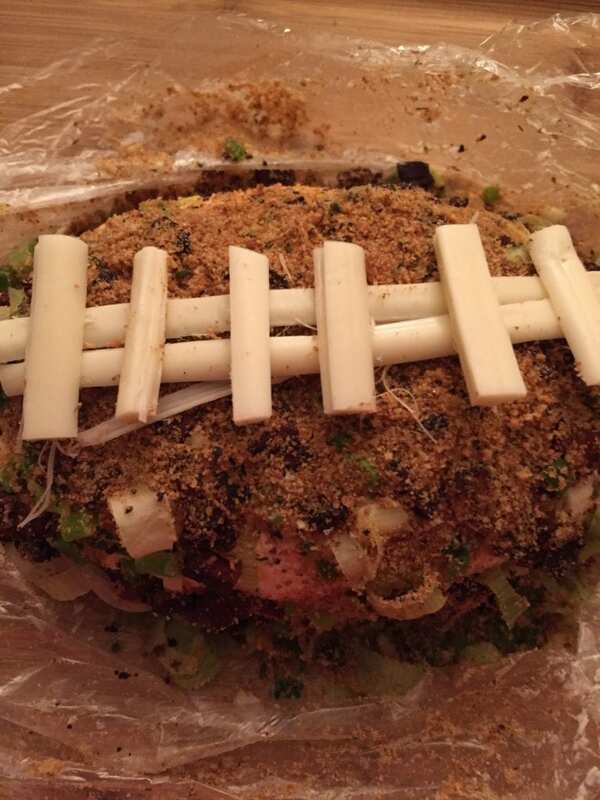 Form football laces on top of coated cheeseball. Serve with crackers, pretzels, veggies, or apple slices. If you are lucky enough to have leftovers, it's great spread on crackers, toast, just about anything the next day.